The work is never done for homeowners. There is always something to do around the house, especially when the seasons change. After a long winter, we’re sure you are looking forward to spending some time outside and enjoying the spring weather, even if it means doing some home maintenance and repairs, and cleaning up the yard. Homeowners want easy home maintenance. To achieve this, you need to be diligent and complete your maintenance to-do list each season to keep your home in the best shape possible. “There’s no better way to preserve the value of your home than with regular, consistent maintenance. So every time the seasons change, make sure you do a thorough check of your house – inside and out – to make sure you’re keeping it in tiptop shape,” says Scott McGillivray. So, why is it important to stay on top of home maintenance? Value : It helps you maintain and add to the value of your home. Appearance : It improves the appearance of your property. Protection : It protects your home against weather and other threats. Reduce Long Term Costs : Maintenance costs are less when you do it regularly. Identify Issues : It allows you to identify issues before they become major repairs. Less Surprises : Fewer unforeseen issues will arise. Save Time : The more frequently you do it, the less time it will take each season. Follow this spring maintenance checklist for homes to ensure your property is ready once the warmer weather rolls around. The key to making sure you don’t miss anything is to create a spring home maintenance checklist. Great news – we’ve already put one together for you! Spring cleaning is a common thing than many homeowners do as spring approaches. The warmer weather gives us a boost of energy to clean out the clutter and get our home in order before the nice weather hits. “Spring is a good time to clean areas of the house that often go neglected. Dust or vacuum chair rails, window casings, tops of wall-mounted cabinets and ceiling fans. Launder or dry-clean fabric draperies and use a damp cloth to clean wood and vinyl blinds. Vacuum upholstered furniture and mattresses, and consider renting a carpet cleaner—anything you can do to remove settled dust, mites, and allergens will make for a cleaner, and healthier, home,” says Merv Kaufman on bobvila.com. Spring is the perfect time to make sure your air conditioner or central air unit is working efficiently and ready for the summer. Check all the connections, change the filter, and if necessary, have it serviced. After a cold winter, it’s important to check the attic to make sure no leaks have developed. You will also want to make sure no mice, insects or other critters have nested over the winter. Check to make sure the insulation is intact, and look for signs of mold and water damage. We all know that the basement is prone to issues, especially after the seasons change. Check for cracks in the cement walls and look for signs of leaks. While you are down there, it’s also a good idea to check your sump pump, check the washing machine hoses, inspect the basement windows for mold and leaks, and look for signs of pests. Building on the previous point, looking for leaks and mold is important in all areas of your home. Take the time to inspect all windows, doors, bathrooms, and other areas where water damage could occur. Address mold issues immediately. If you have a large amount of mold, contact a mold remediation company to dispose of the mold properly. A change of season is the perfect time to check your smoke and carbon monoxide detectors, make sure they are working properly and change the batteries. Also check your fire extinguishers to ensure there are no leaks and the pin is in place. Things can add up in a hurry, especially after the holiday season. Spring is the perfect opportunity to clean out the garage, basement and other areas where things have been piling up. Donate unwanted items to local charities, sell them on Kijiji, or give them away to family and friends. Your roof is one of the most important parts of your home, and ensuring it is free of issues is vital to keeping your entire home well maintained. An issue with your roof such as damage to shingles, flashing, or leaks can quickly impact other areas of your home. Over time, gutters and downspouts can get clogged, especially if you have a lot of trees and vegetation in your neighborhood, and we all know that clogged gutters can cause water damage and prevent water from properly being directed away from your home. Remove any debris, patch holes in your gutter with exterior grade caulking, and check your downspouts to ensure they are properly directing water away from your home. Your foundation is often the source of water issues in your basement. Do a walk around of your home’s exterior, and check for cracks in the foundation as well as inspecting the exterior walls, siding, and brick for damage. If you identify issues, contact a foundation specialist to take a look. The cold weather can cause cracks or harden the caulk around your windows and doors. Inspect the seals on all windows and doors and replace them as required. This will help prevent water from getting in and help reduce your energy bill. Replace any broken or damaged screens. Check the garage doors to make sure they are working. Vacuum dust and dirt around the doors, and make sure there is nothing that could fall and prevent the doors from working properly. Check all exterior lights and motion sensors to ensure they are functioning properly and replace bulbs as necessary. You can also take this time to re-install solar lights in your walkways and gardens. Checking your fence and deck is important. Look for signs of damage, cracked or split boards, unstable areas and signs of pest damage. Look for holes under the deck and fence. Depending on the type of wood, you may also need to seal or stain your deck. It’s time to get the lawn mower out, change the engine oil, and get the blade sharpened so it’s ready for the lawn cutting season. Head to your local hardware store to stock up on landscaping supplies such as yard bags and grass seed, and pick up the tools you need to thatch, weed and clean out your garden beds. Pull out your patio furniture from storage, and clean out your BBQ and get it ready for grilling season. Check your propane tank and get it filled if necessary. It’s common to find cracks in walkways and driveways after the winter. How you repair these cracks will depend on the type of surface you have (brick, asphalt, concrete). Lights : Replace any burnt out lightbulbs. Dryer : Check and clean out your dryer vent to minimize fire hazzards. Vents : Check all exterior vents for issues. AC : Check your AC unit to make sure it is working properly. Kitchen : Check the vacuum refrigerator coils and behind the stove. Thermostat : Adjust your programmable thermostat for spring temperatures to save energy. Wardrobe : Get out your spring clothes and store away winter clothing. 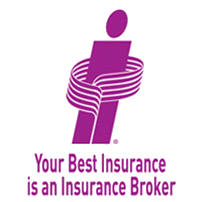 Insurance : Review your home insurance policy and update it if necessary. Efficiency : Consider scheduling a home energy audit. Outside Taps : Turn on the water to outside taps.